Larry has been Executive Director of the Philatelic Foundation since June 2010. He has served on the Board of Directors for eleven years having had roles as Treasurer and Secretary. Having been a member of the philatelic community for decades, Larry's involvement in organized philately has been widespread. He is widely known for his extensive and award winning collections of Carrier and Local stamps, including forgeries, and Western Express covers. 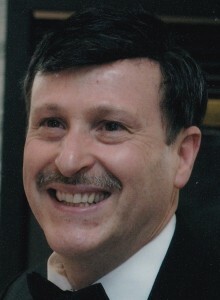 Moreover, he has been a leading researcher in his fields of study, having been a recipient of numerous accolades including the U.S. Philatelic Classics Society Carroll Chase Cup (1998) and the Diane D. Boehret Award twice (2009, 2011) for Excellence in Philatelic Literature. He has published works including “The Identifier for Carriers, Locals, Fakes, Forgeries and Bogus Posts of The United States” and “The 2007 Pricing Guide for Unlisted Carriers, Locals, Fakes, Forgeries and Bogus Posts of the United States” along with over 140 original research articles in various journals and publications. Larry is a member of numerous organizations including the Carriers and Locals Society (Editor-in-chief from 2000-present), the Collectors Club of New York, U.S. Philatelic Classics Society, American Revenue Association and the Western Cover Society.